As consumer interest in health and wellness continues to grow, so does consumer demand for clean and clear labels on food and beverages. Today’s consumers have renewed interest in and unprecedented access to ingredient information. What information are they searching for? 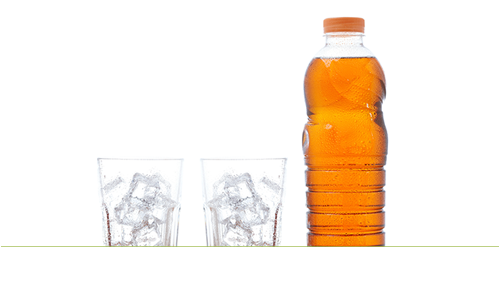 Simple, recognizable ingredients and the absence of chemical processing on their food and beverage labels. Consumers may look for clean labels, but they also expect consistently good tasting and high-quality foods and beverages. According to Mintel’s ‘Tea & RTD Tea’, the demand for convenient, better-for-you (BFY) drinks continues to grow, as parents seek BFY beverage options for their families. * Ready-to-drink tea is the perfect answer to the call for BFY beverages, since it is perceived as inherently ‘clean’ and has a healthful association. Amelia Bay’s proprietary advanced brewing technology method allows RTD manufacturers to deliver both a clean label and a consistently high-quality product to meet the growing market. Unlike most general tea ingredient manufacturers, we have the ability to capture all of tea’s volatiles for complete flavor and aroma notes, through their all-natural, proprietary brewing process. Since everything ‘tea’ is captured, there is no need to add anything additional to recapture flavor in an Amelia Bay brewed tea. Utilizing all-natural optimization methods, only pure water touches the raw leaf—for quality taste and a label that’s as clean as can be. Amelia Bay’s ingredients are simple, straight forward, readily available and easy to use. We can design clean label teas and coffees for your brand or help you clean up your label, with matching and reformulation. We also have the capabilities to customize each formulation to your specifications. Now is the time to update your products to meet the demands of today's customer and formulate your success with a clean label. For a clean label and ingredient statement on your RTD tea, contact Amelia Bay today.